Ever wonder how honey is made? And how they get it out of the bees’ clutches and into the jars on the store shelves or in farmer’s markets? The short video above will explain the whole process. A little after the 2:50 mark, the narrator mentions that we can eat the honeycomb. I can attest that it’s delicious. My cousin in Italy once told me that he chews on a piece of honeycomb whenever he feels a cold coming on. Honeycombs contain propolis which is good for our immune system. Plus, you can chew it like bubble gum! Don’t you want to sink your teeth into this golden honeycomb? Around the 3:30 mark, the narrator mentions the honey being heated so it can be poured into bottles. I’ve read in a few places that this process kills some of the nutrients in honey. If this bothers you, you can check out raw honey. As the name implies, it’s the honey straight out of the honeycomb and into the jars. So what is honey good for? 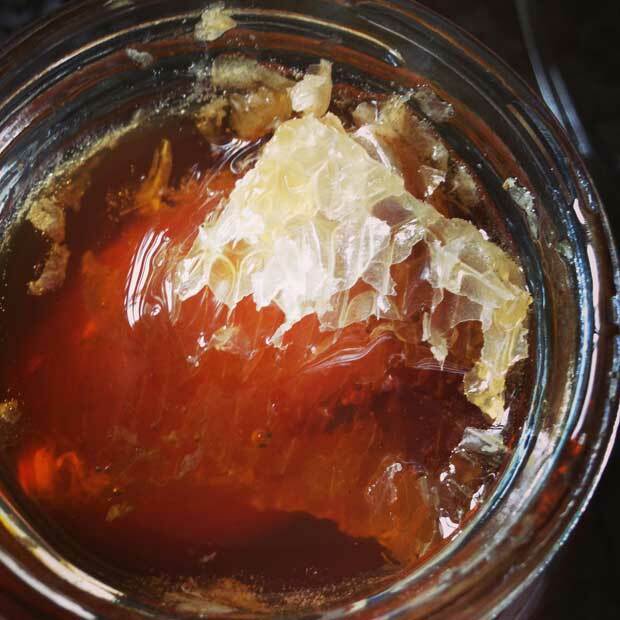 As a natural disinfectant, honey can placed on cuts for healing. I’ve seen cuts disappear quite fast when I use honey. Many times over the years, I’ve read how honey can help with bodybuilding. I remember reading once that Muhammad Ali regularly ate eat bee pollen and never got sick. So thank God for inventing bees and having the sense of humour of having them barf out such a useful and healthy by-product of sneezing flowers! Do you like honey? Share your favourite uses/additions to your meals/recipes.